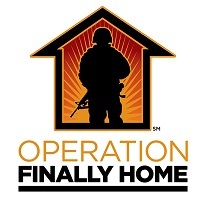 Operation Finally Home provides homes and home modifications to America’s military Heroes and the widows of the fallen who have sacrificed so much to defend our freedoms and values. We bring together corporate sponsors, builder associations, builders, re-modelers, developers, individual contributors, and volunteers to help these Heroes and their families by addressing one of their most pressing needs – a place to call home. Check out their website at: Operation Finally Home.